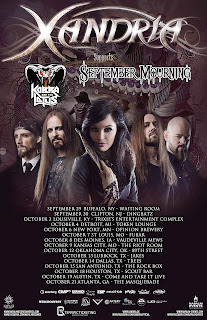 Xandria are set to return to the road this fall in North America alongside label-mates Kobra and the Lotus. 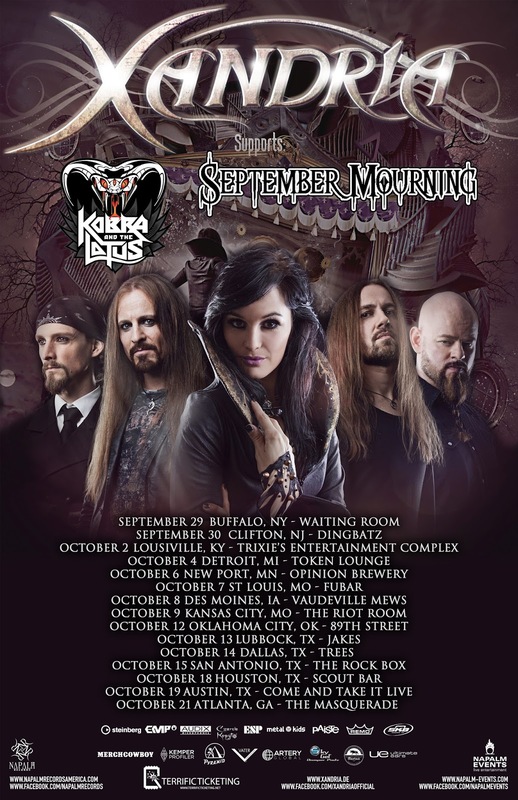 Also coming along for the ride is September Mourning. The tour is set to kick off September 29th in Buffalo, NY and will run through October 21st in Atlanta, GA. A complete list of dates can be found below.